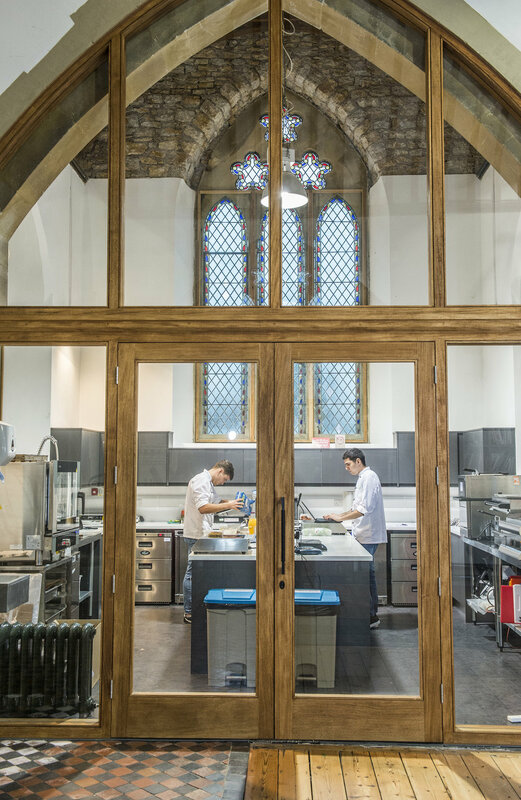 Previously converted church, required refurbishment, replanning and sub division to house the creative team from FSC, as well as to provide an inspirational focal point for client interaction. Our main task was to design the glazed screens to create sub-division, and work out how to house 3 cooking areas (back of house, front of house and client demonstration areas). The church is Listed, so we secured listed building consent for the proposed works. 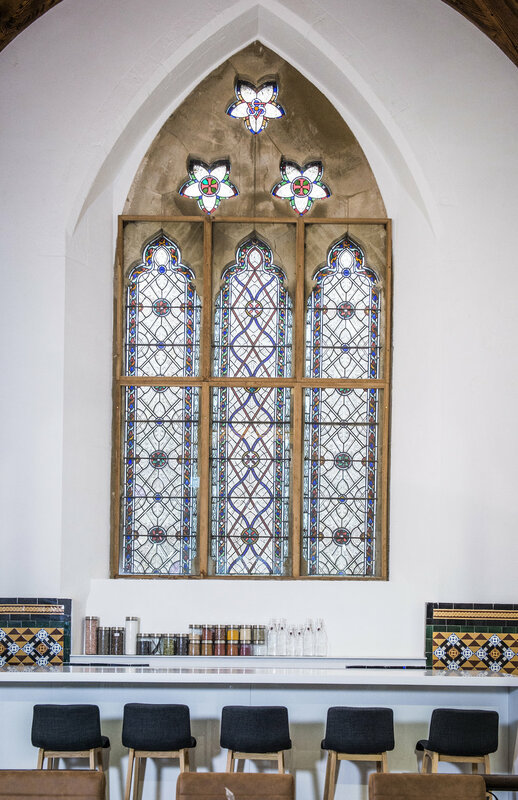 The sapele framed glazed screens were meticulously detailed to emulate the stone detailing. No original fabric was broken or disturbed during the introduction of these screens.